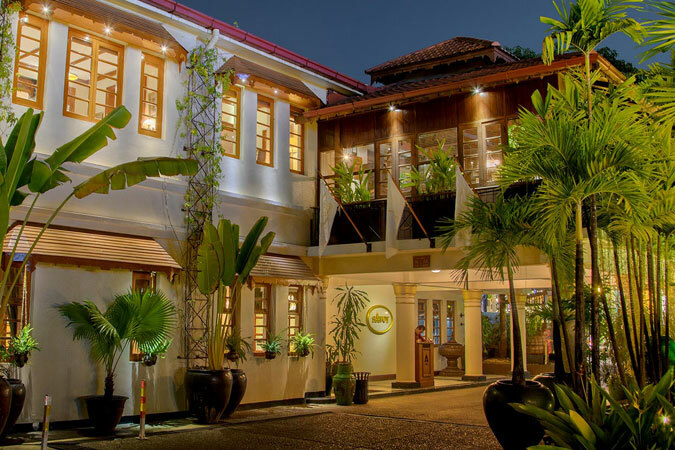 A tranquil haven in the midst of the bustling city, the Savoy Hotel Yangon impresses with its colonial-style rooms, fantastic fusion restaurant, attentive service and impressive views over the Shwedagon Pagoda. Facing this spectacularly gilded stupa, which dominates the Yangon skyline at 326-feet, the Savoy Hotel Yangon is a polished colonial hotel with a wonderfully picturesque location. 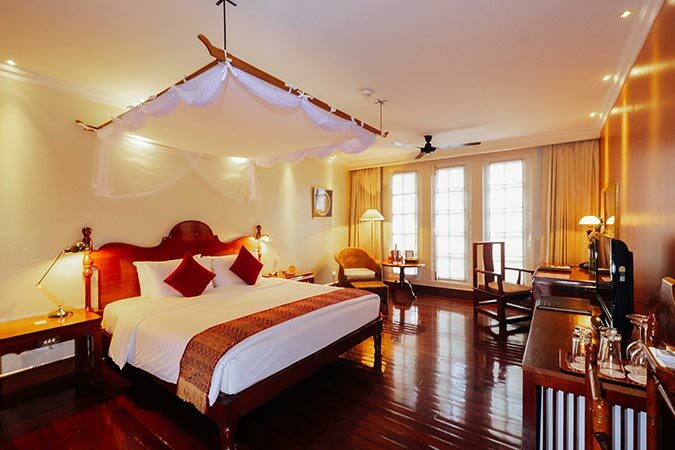 Each of its 30 rooms and suites are individually furnished in the style of the “days of old” with traditional Myanmar antiques and teak furniture. 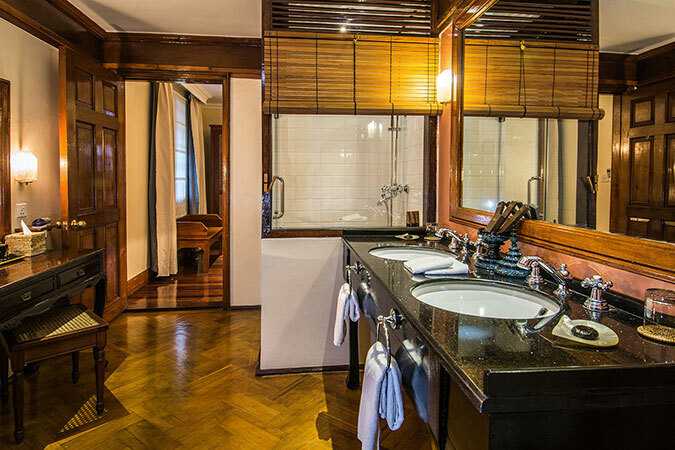 Bathrooms are lavishly appointed and spacious. 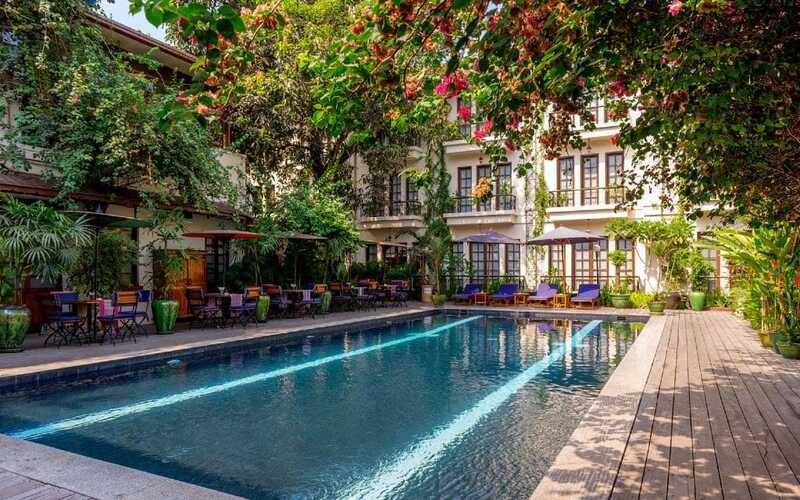 There is a tranquil pool and lounge area, wonderfully shaded by ancient trees, providing the perfect respite from the bustling city streets. Take a refreshing dip in the pool before ending the day with dinner at the fabulous Kipling’s Restaurant which serves an enticing fusion of Asian and Western cuisine. 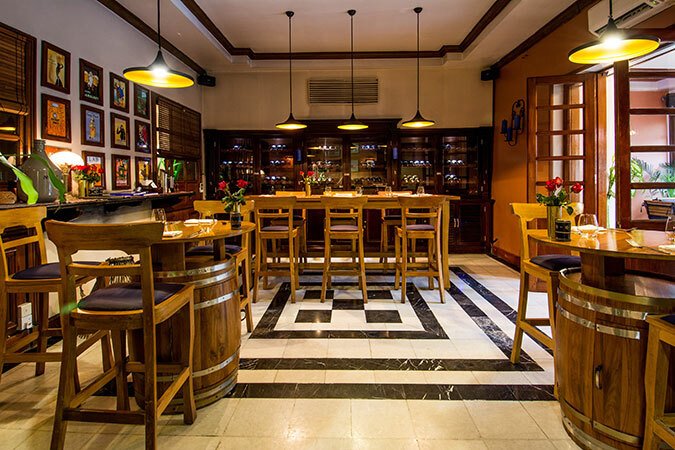 Otherwise, you can enjoy traditional French bistro dishes at Le Bistrot, delicious cakes at Café Yangon and cocktails at the iconic Captain’s Bar.